Roger Zelazny was born in Euclid, Ohio, the son of of Polish immigrant. He had a typical childhood and showed an early interest in writing. In 1955 he earned a B.A. in English from Western Reserve University and went on to earn an M.A. in Elizabethan and Jacobean Drama from Columbia University in 1959. After graduation, he worked for the Social Security Administration by day and wrote science fiction by night. Zelazny wrote short stories at first, progressed to novellas and finally moved on to novel-length works. In 1969 he quit his day job and became a full time writer. Zelazny was an active member of the Baltimore Science Fiction Society. He was also a member of the Swordsmen and Sorcerers’ Guild of America (SAGA), a group of heroic fantasy authors from the 1960s, much of their work was published in Lin Carter’s Flashing Swords! Anthologies. Zelazny was married Sharon Steberl in 1964 and later they divorced. Two years later he married Judith Callahan. They had two sons and a daughter. The author died of cancer in 1995, at the age of 58. 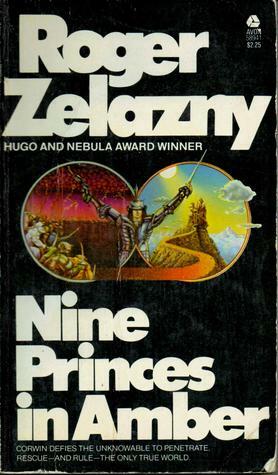 While Zelazny is best known for his Chronicles of Amber series, of which Nine Princes in Amber is the first book, he has won 6 Hugo Awards, 3 Nebula Awards, 2 Locus Awards, 2 Seiun Awards, 2 Balrog Awards and 1 Prix Tour-Apollo Award. Many years, Zelazny’s work competed with each other for the same award. In 2010, Roger Zelazny was inducted into the Science Fiction Hall of Fame. Nine Princes in Amber begins when Carl Corey wakes up in a hospital and has no idea how he arrived or even who he is. He is suspicious of the circumstances of his stay and escapes the room, only to learn that he is recovering from a car accident and his hospital care is being paid for by his sister. When Carl flees the hospital, he goes to his sister’s house, wishing to learn more about his unknown identity. There he is called Corwin and his sister refers to herself as Flora. In Flora’s library, Corwin finds a set of customized Tarot cards, the trumps of the Major Arcana are all replaced with portraits of members of his family. There are nine brothers, including Corwin and four sisters. While at Flora’s house, his younger brother Random contacts him on the phone. When Random arrives, he is being chased by strange humanoid creatures, which are defeated in concert by Corwin, Flora and Random. Corwin realizes that strange forces are at work that have little to do with how he thinks Earth should be. Random asks Corwin if he is going to return to Amber and offers to “hellride” with him there. As the two brothers travel, Random subtly shifts the world around him using an innate ability that fascinates his elder brother. They arrive in Amber, a place of sublime beauty and order from which the entire universe takes its form. In Amber they meet with another of their brothers, Julian. They battle and Corwin manages to unhorse Julian from his steed and take him prisoner. Corwin is learning that the nine princes of Amber are all at battle because their father has been missing for centuries and is presumed dead. When one of Corwin’s sisters arrives, fleeing from yet another brother named Eric, Corwin is moved to confess to Deirdre about his amnesia. Deirdre tells Corwin of the Pattern, from where the power of the royal family to manipulate worlds springs from. It is Deirdre’s opinion that if Corwin “walks the pattern” again, it would restore his memory. Corwin, Random and Deirdre leave Amber and travel to a nearby reflection world called Rebma. It is an underwater city and ruled by their sister Moire. Since Rebma is close to the original Amber, it also contains a near perfect reflection of the Pattern. Moire grants Corwin permission to walk the Pattern because she believes that the three of them will support her in the defeat of Eric, their brother who holds the royal castle in Amber and is amassing a huge army. There is a price: Random must stay behind in Rebma and marry a blind girl named Vialle. Corwin walks the Pattern and his memory is indeed restored. He is a true prince of Amber and remembers a long life of centuries along with the powers which the Pattern give him: the power to walk through “shadow” and to pronounce a curse before dying. Walking the Pattern also grants him the power to project himself through space and he does so, going to the Castle of Amber where he finds a safe location to rest and think about what he has learned. In the castle, Corwin searches the library and finds another pack of Trumps, tarot like cards that allow him to create shortcuts through “shadow” and travel to other worlds. He now knows how to use them. Corwin is discovered by Eric and they duel. Corwin doesn’t fair well in the battle and he uses the Trumps to escape. Corwin begins to use the Trumps to contact his siblings. He makes deals with the various princes of Amber, learning who is aligned with whom and gaining an understanding of where he stands in the royal intrigue. His car accident was no accident after all, but part of the intrigue for the throne of Amber. He joins forces with his brother Bleys and together they command a navy to take Amber from Eric. In the end, Corwin and Bleys are not successful. Bleys falls over a cliff and Corwin is captured and thrown in chains. Eric sentences his defeated brother to be imprisoned and his eyes burned out. Eric crowns himself King of the one true world. Corwin endures years in prison, blind and helpless. Although he is visited by occasional friends, no one can help him due to their fear of King Eric. As time goes by, Corwin’s eyes begin to regenerate and he begins a futile escape attempt with the use of a spoon. It is during this time, that the former keeper of the Pattern, appears out of nowhere. Dworkin Barimen is insane and has been imprisoned for a long time. He explains that he has come to Corwin by drawing a picture on his own dungeon wall, creating a Trump to travel. Corwin asks Dworkin to draw a picture of the Lighthouse of Cabra, a place he considers a safe haven. Once Dworkin completes the drawing, Corwin projects himself out of prison. Roger Zelazny has been one of my favorite science fiction and fantasy authors. Nine Princes in Amber was my introduction to his work, but it certainly wasn’t the last book of his that I read. One of the common themes of his writing is that there exists an infinite number of worlds and that every world that can be imagined must exist somewhere. The powerful characters in his books usually have the ability to travel to these different worlds in some manner. The idea that the characters are never sure if they are creating these special places or are simply finding them is the metaphysical question that they ask themselves and never quite answer. 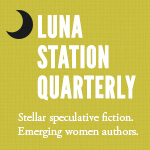 Sometimes his stories are pure fantasy, and others they combine science fiction and fantasy together. Either way, a Zelazny novel was always something unique and wonderful to read. I highly recommend the Chronicles of Amber. The books might be a bit old, but they hold up well and are still an entertaining read. The first five novels feature Corwin, Prince of Amber. The next five novels feature Merlin, Corwin’s son. Zelazny also wrote seven short stories set in Amber. The last five of these stories form one tale set after Prince of Chaos, the final novel. Antoine Marie Jean-Baptiste Roger, comte de Saint Exupéry, more popularly known as Antoine de Saint-Exupéry, was born to an aristocratic family in Lyon on June 29, 1900. He was the third of five children of the Countess Marie de Fonscolombe and Count Jean de Saint Exupéry. His father died of a stroke in Lyon’s La Foux train station before his son’s fourth birthday. This left the family in poverty. When he was 17, his younger brother succumbed to rheumatic fever. Saint-Exupéry remained at home to care for his brother Francois, but it was to no avail and his brother died. This left Saint-Exupéry in the role of being the sole “man” of the family and caused him to become the protector to his mother and sisters. Later he would write of his brother’s death “…remained motionless for an instant. He did not cry out. He fell as gently as a young tree falls”, this imagery would much later serve to create the climactic ending of The Little Prince. Saint-Exupéry had difficulty in deciding on a career path. He failed his final exams at the Naval Academy and then studied architecture at École des Beaux-Arts for over a year, but did not graduate. He fell into a habit of accepting odd jobs until he began military service in the French Army during 1921. After taking private flying lessons, he was transferred to the French Air Force. He received his pilot’s wings in Casablanca, Morocco and posted to the 34th Aviation Regiment at Le Bourget on the edge of Paris. It was then that he had several aircraft crashes, endangering his life. Saint-Exupéry was engaged to future novelist Louise Lévêque de Vilmorin at the time and due to pressure from her family, he quit the air force and flying to take an office job in the city. He was not happy in this choice and in time the young couple broke off their engagement. He returned to working odd jobs and had little success over the next few years. He began flying again in 1926 and became an airmail pilot. His routes included Africa, Europe, and South America. He became one of the pioneers of international postal flight, in the days when airplanes had few instruments and pilots flew by the seat of their pants. He worked for Aéropostale and became the airline stopover manager for the Cape Juby airfield South Morocco, in the Sahara desert. His duties included negotiating the safe release of downed pilots taken hostage by enemy Moors, a task which earned him his first Légion d’honneur from the French Government. In 1929, Saint-Exupéry was transferred to Argentina, where he was became director of the Aeroposta Argentina airline. He surveyed new air routes across South America, negotiated agreements, and even occasionally flew the mail as well as search missions looking for lost fliers. This period of his life is documented in the IMAX film Wings of Courage by French director Jean-Jacques Annaud. In 1931, his first book Vol de nuit (Night Flight) was published and gained widespread acclaim. He also married the Salvadoran artist and writer Consuelo Suncin that same year. She was a twice-widowed Salvadoran writer and artist. A true bohemian spirit with a “viper’s tongue”. While Saint-Exupéry was bemused by his diminutive wife, their marriage was a stormy one. She was both his muse and the source of much personal angst. Saint-Exupery would engage in many affairs during their marriage, usually with a Frenchwoman Hélène de Vogüé. She would become the author’s literary executrix after his death. On December 30, 1935, Saint-Exupéry and his mechanic-navigator André Prévot crashed in the Sahara desert. They had been attempting to break the speed record in a Paris-to-Spain race and win a 150,000 francs prize. They survived the crash and wandered the desert for four days, with little water or supplies. Both saw mirages and experienced hallucinations and came close to death. They were found by a passing Bedouin who saved their lives. The near brush with death would figure prominently in Saint-Exupéry’s 1939 memoir, Wind, Sand and Stars. 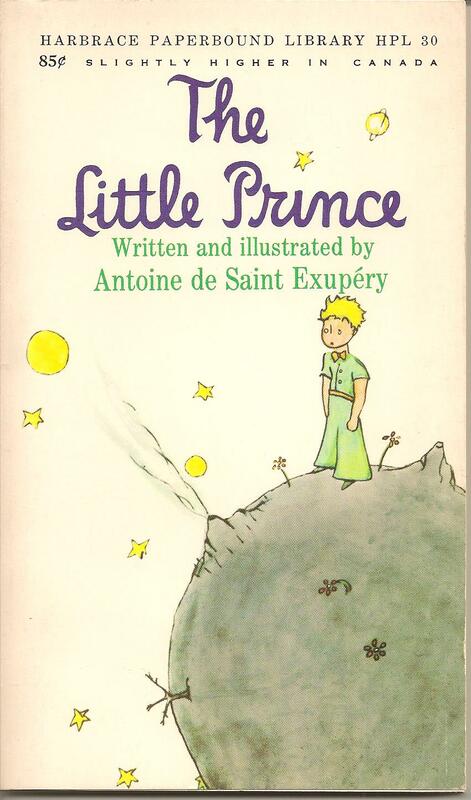 Saint-Exupéry’s classic novella The Little Prince, which begins with a pilot being marooned in the desert, is also a reference to this experience. Following the German invasion of France in 1940, Saint-Exupéry joined the French Armée de l’Air to serve his country. After the armistice with Germany, he went into exile in 1940 to New York City. He had the intention to convince the United States to enter the war against Nazi Germany. It was there that he belatedly received his National Book Award for Wind, Sand and Stars won the previous year while he was fighting the Germans. His wife Consuelo followed him to New York a few months later. It was soon after Saint-Exupéry’s arrival in the United States that the author adopted the hyphen within his surname. It was due to his annoyance of Americans addressing him as “Mr. Exupéry”. It was also during this period that he authored Pilote de guerre (Flight to Arras), which earned widespread acclaim, and Lettre à un otage (Letter to a Hostage), dedicated to the 40 million French living under Nazi oppression. The French wife of one of his publishers helped persuade Saint-Exupéry to produce a children’s book, hoping to calm the pilot’s nerves and to compete with the new series of Mary Poppins stories by P.L. Travers. Saint-Exupéry wrote and illustrated The Little Prince to answer this call. It would be first published in early 1943 in both English and French in the United States, and would but only later appear in his native homeland posthumously after the liberation of France. This novella has been translated into more than 250 languages and dialects and is one of the top three selling books in the world. In 1943, Saint-Exupéry rejoined with the Free French Air Force. He was eight years over the age limit for being a pilot and his previous crash injuries was causing his body pain and limited mobility. His last assigned reconnaissance mission was to observe German troop movements in and around the Rhone Valley before the Allied invasion of southern France. He took off in an unarmed P-38 from an airbase on Corsica. To the great alarm of the squadron members who revered him, he vanished into that long night without a trace. When he was a young boy, the narrator drew an elephant inside a boa constrictor. However, all adults who saw the picture thought it was a hat. He tried to explain but was told to take up a more useful hobby instead of drawing. The lack of creativity of the adults frustrated him and made him stop drawing. He is now a pilot but his plane has crashed in the Sahara desert. There, he encounters a golden-haired young boy he calls “the little prince”. The prince asks him to draw a sheep and when he shows him his childhood drawing, the boy correctly guesses what it is. The narrator fails to draw a nice-looking sheep then out of frustration just draws a box and says that the sheep is inside the box. Much to his surprise, the prince tells him that the drawing is exactly what he wanted. The two are stranded in the desert for eight days. The pilot tries to repair the plane and the boy tells him his life story. The prince describes his life on his planet, which is an asteroid as big as a house. The planet has three tiny volcanoes and several kinds of plants and the boy wants a sheep to eat the unwanted plants. He also loves a mysterious rose growing on his planet and is on a journey to see what else is in the universe. The boy has been to six other asteroids and has met a foolish adult inhabiting each of them. One of the inhabitants, a geographer who only concentrated on theories but never explored the area he was mapping, told him that the planet Earth would be a good place to visit. The prince landed on Earth and when he saw rosebushes, he was sad to learn that his rose was not unique. He doubted himself and felt bad about his small planet. However, he met a fox who convinced him that his rose was special because of his love for it. He and the fox eventually separated and the prince met a railway switchman who told him how adults were oblivious and never satisfied with their situation. Back to the present time, the very thirsty narrator and the prince find a well. The pilot later sees the prince talking to a poisonous snake who has previously claimed to be able to return the prince to his home planet. The prince wants to go home. While The Little Prince is considered a children’s book, there is much commentary about living as an adult and seeing beyond what our eyes tell us. 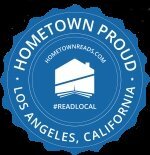 It is a book about love, respect, and home. Much of the author’s life went into this small volume that has influenced billions of children to this very day. It is a book that should be part of every child’s bookcase. A.R. 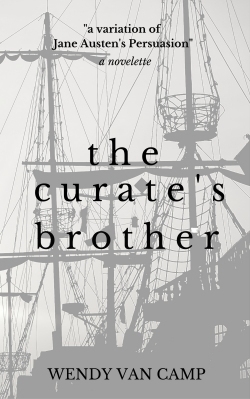 Silverberry was kind enough to offer to interview me about my new ebook, The Curate’s Brother: A Jane Austen Variation of Persuasion. I had a lot of fun doing the interview and I hope you will all find it interesting. In the interview, I go over the origins of where my book began, the process I used to hone it into its final form, and about the sources of historical research that I used to write the book. A.R. Silverberry is a clinical psychologist and Fantasy writer. He writes fiction for adults and children. His novel, WYNDANO’S CLOAK, won multiple awards, including the Benjamin Franklin Award gold medal for Juvenile/Young Adult Fiction. 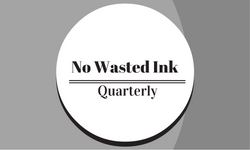 You can read more about him via the author’s interview he did for No Wasted Ink or visit his website. Sir Henry Rider Haggard, better known as H. Rider Haggard, was born in Bradenham, Norfolk on June 22, 1856. He was the eighth of ten children and unlike his older brothers, he did not study in a private school, probably due to financial constraints and his father’s low regard for him. In 1875, Haggard was sent to South Africa to do unpaid work. During this time, he fell in love with Mary Elizabeth “Lilly” Jackson and planned to marry her once he got paid work in the continent. When he became Registrar of the High Court in the Transvaal in 1878, he wrote to his father about his plan to return to England and marry Jackson. His father, however, would not allow him to return without having made a career first. By 1879, Jackson had married a rich banker and upon Haggard’s return, he married Marianna Louisa Margitson. The couple went to Africa and had a son and three daughters. In 1882, the couple went back to England. Haggard became a lawyer but he spent a lot of time writing novels. To prove to his brother that he could write a good story like Treasure Island, he wrote King Solomon’s Mines. The novel was written in 6-14 weeks but was rejected by publishers once it was finished. When it was finally published in September 1885, it quickly became a best seller. Haggard released a sequel, Allan Quatermain, shortly. The stories were influenced by adventurers he met in Africa and the wealth and ancient ruins in the continent. 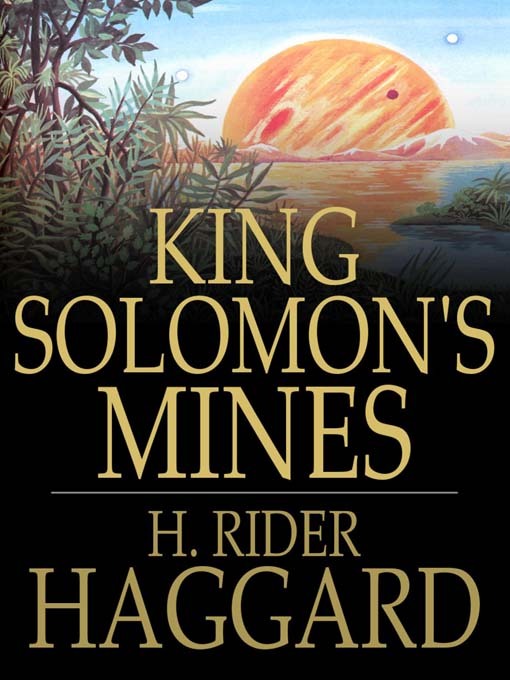 King Solomon’s Mines is credited as the start of the Lost World genre, which influenced popular American pulp writers like Edgar Rice Burroughs and Robert E. Howard. The hero Allan Quatermain became the template for Indiana Jones and regained popularity as a major character in the League of Extraordinary Gentlemen. Haggard was also heavily involved in agricultural reform and was part of several commissions on land use and similar issues. In 1912, he was made a Knight Bachelor and in 1919, he became a Knight Commander of the Order of the British Empire. He died on May 14, 1925, when he was 68. Allan Quatermain is an adventurer and professional hunter based in Durban, South Africa. Sir Henry Curtis and Captain Good ask him to help them find Sir Henry’s brother, who is on a journey in the unexplored territory to find the mythical King Solomon’s Mines. Quatermain possesses a map to the mines but has not really believed in its authenticity. Nevertheless, he agrees to join the two men if they will share the treasure they will find or financially support his son in case he dies during the trip. Quatermain does not believe that they will be able to return alive but thinks that his death will at least provide support for his child. The three men are accompanied by Umbopa, a mysterious native who seems more eloquent and regal than the other porters. They travel by oxcart until the edge of a desert, then begin walking. Fortunately for them, they discover an oasis along the way. They reach the Suliman Berg and climb one of the peaks of the mountain range. Inside a cave is the frozen corpse of José Silvestre, the explorer who drew the map using his blood. When another servant dies because of the freezing temperature, they leave the body to provide Silvestre a companion. They then reach a lush valley called Kukuanaland. They escape being killed by Kukuana warriors when Captain Good fidgets with his denture, which scares the warriors. From then on, they pretend to be powerful gods but they still have to regularly prove their claim, which stresses them and strains their creativity. They are then brought to King Twala, who killed the former king (his brother) then sent his brother’s wife and son Ignosi to die in the desert. An old, evil witch named Gagool serves as the king’s primary advisor and murders those who oppose her and the king. Umbopa earns Gagool’s suspicion but Quatermain is able to save him. Soon, it is revealed that Umbopa is Ignosi, the true king of Kukuanaland. The Englishmen gain support by using the foreknowledge of a lunar eclipse to prove Ignosi’s claim. Twala is overthrown by the rebels and loses his head in a duel with Sir Henry. Gagool reluctantly takes them to King Solomon’s Mines but while the men are admiring the treasure, she sneaks out and uses a hidden mechanism to trap the men inside. With their food and water supply dwindling, the trapped men prepare for death. There is something about these Victorian era pulp novels that calls to me. The world was largely unexplored back then, magic and mystery abounded in places that we now call home. King Soloman’s Mines was one of those break out novels for its author. It was a huge bestseller of its day, a “star wars” for the Victorians, and it still has much influence over our stories today. While a pure adventure tale and worth reading just for the sheer fun, it is not a shallow book at all. The characters are interesting and well developed and it has a few literary allusions to the Old Testament of the Bible and the Ingoldsby Legends. While the author does portray his protagonists as British imperialists, true to his culture of that time, there is more in his tale. His native Africans gradually emerge as fully developed individuals, capable of great nobility and wisdom, or evil. Quartermain himself undergoes a broadening of outlook during his adventure and he comes to see the people around him as equals instead of natives that “should known their place”. I feel that this helps keep King Solomon’s Mines from becoming too dated for today’s readers. You can find a free download of King Solomon’s Mines on Project Gutenburg. Find yourself a copy and enjoy it on a hot summer day with a cold soda or beer while you experience the African of yesteryear. It is the first of a series of 15 novels, so if you like it, there is more to enjoy.